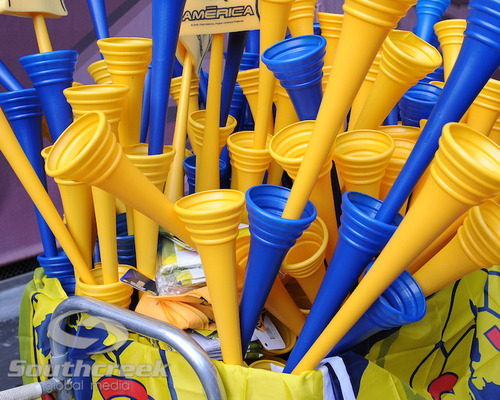 Candlestick Park to play Club America, one of Mexico's most storied franchises. autographs from Lassana Diarra before the match. 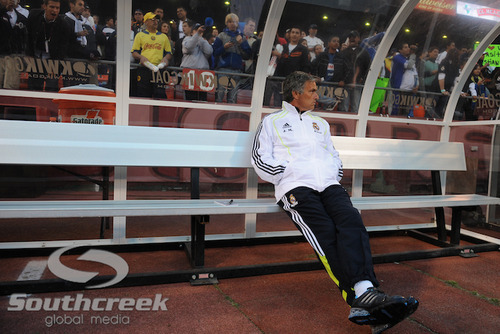 Madrid's new manager Jose Mourinho was coaching his first match for RMCF. photographers spread out in front of him. 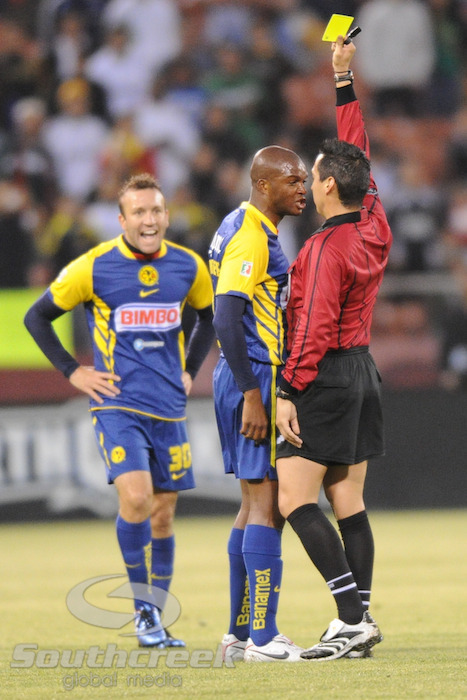 here challenging Club America's Enrique Esqueda (L) for the ball. no-look passing was a pleasure to watch. (unless he's trying to draw a foul) , a lesson learned here by Juan Carlos Silva (L). Of course, whenever you talk about Ronaldo, you can't ignore the theatrics. Here he directs a tantrum at a ball boy who was a bit slow throwing in a new ball. After blowing a scoring opportunity, Ronaldo smiles as he trots back on defense. ground trying to draw a foul? on Club America. Here he flew down the field on a breakaway. And it took a very nice effort from Joaquin Martinez to dispossess him. Madrid won 3-2 in a very entertaining game for a meaningless friendly. advance, I would have transmitted a bunch of pictures with bad captions. Otherwise the event seemed well-organized and well-attended. Now once again, it's back to baseball for me.